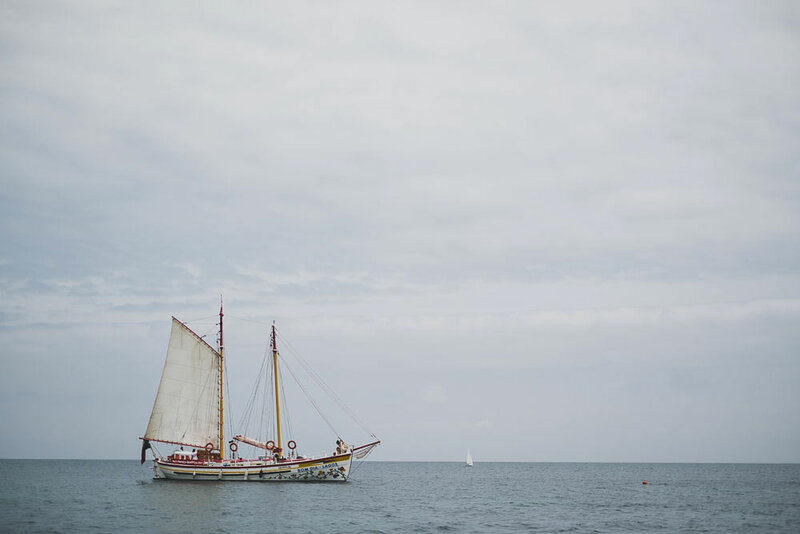 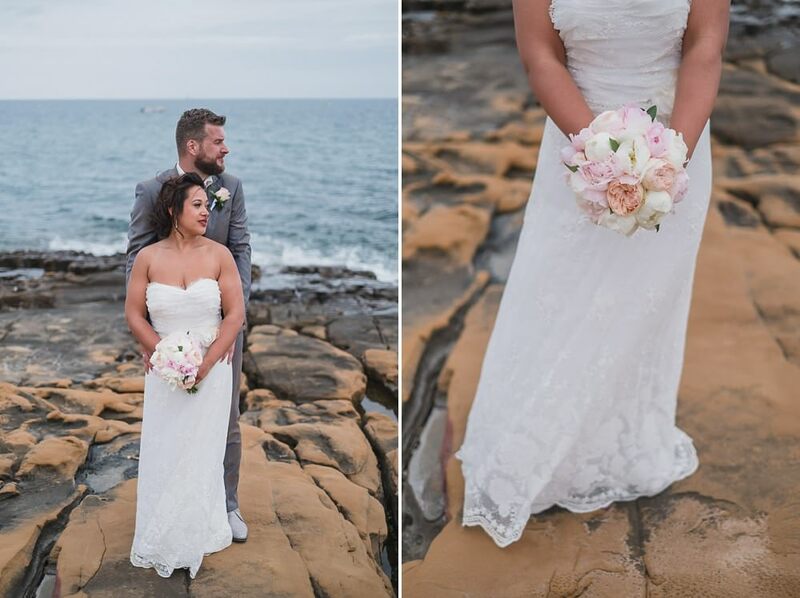 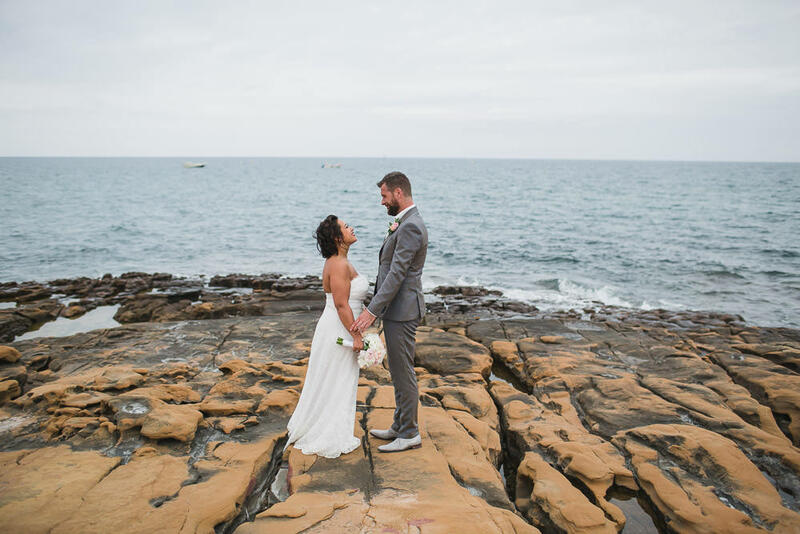 Jeannet & Jorrit knew perfectly what their wedding must be close the sea and closest people. 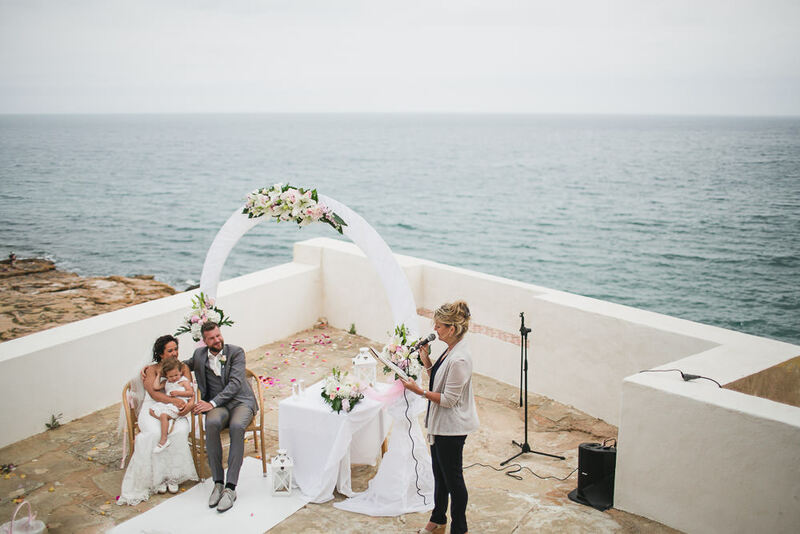 They organised an amazing destination wedding and enjoyed with friends and family for a few days in Algarve. 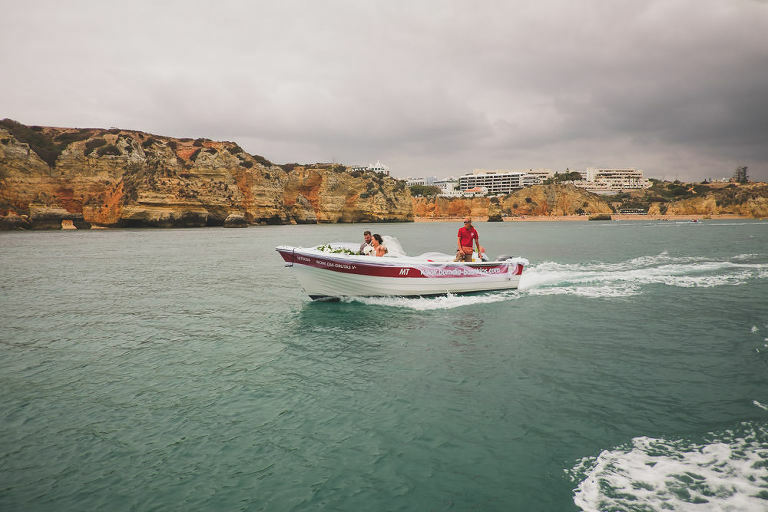 They were assisted by the fantastic help of Rixt, wedding planner in Portugal from Trowen in Portugal. 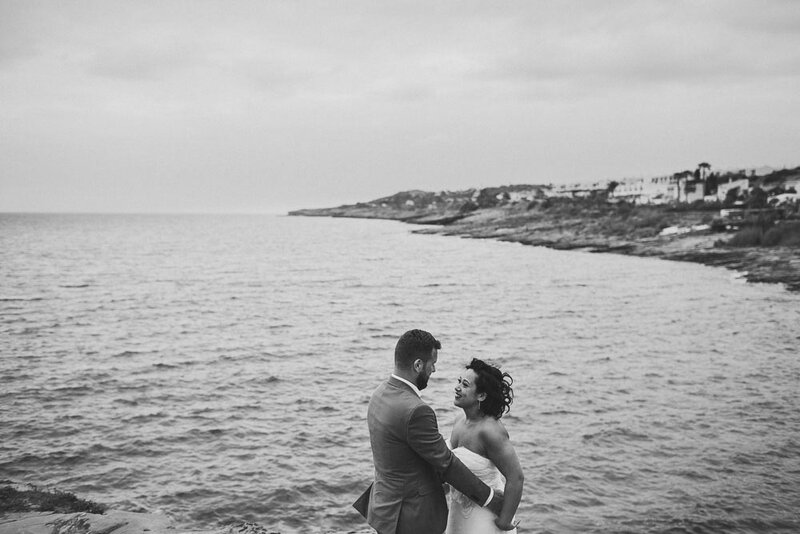 After a couple days celebrating the good weather and portuguese wines, the big day arrived. 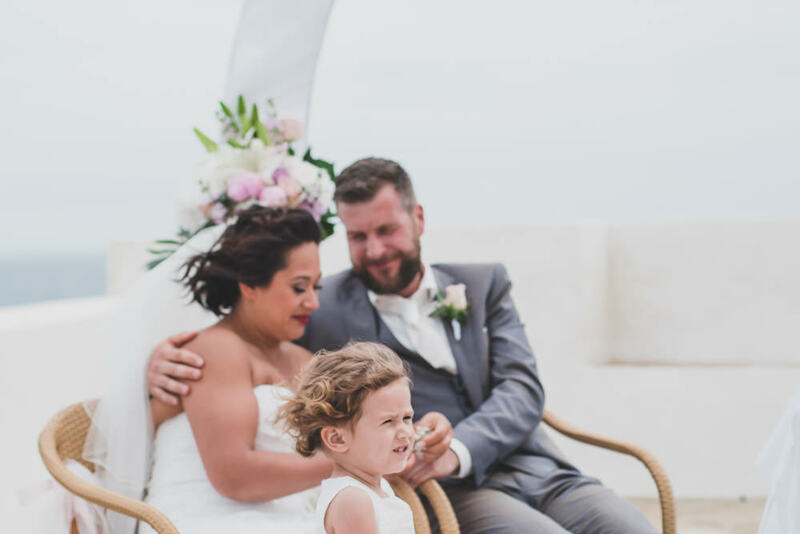 Before the celebration of the wedding ceremony, the couple wanted to offer a small moment to a beloved family member. 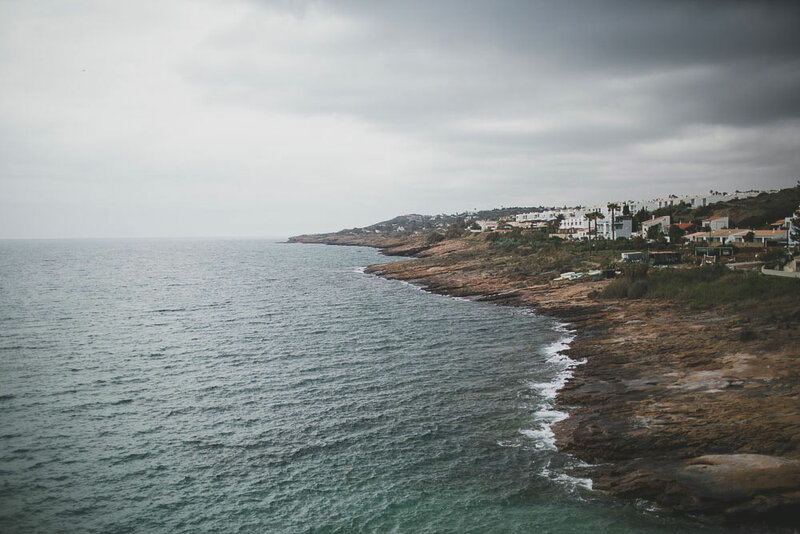 who had a great connection with the sea. 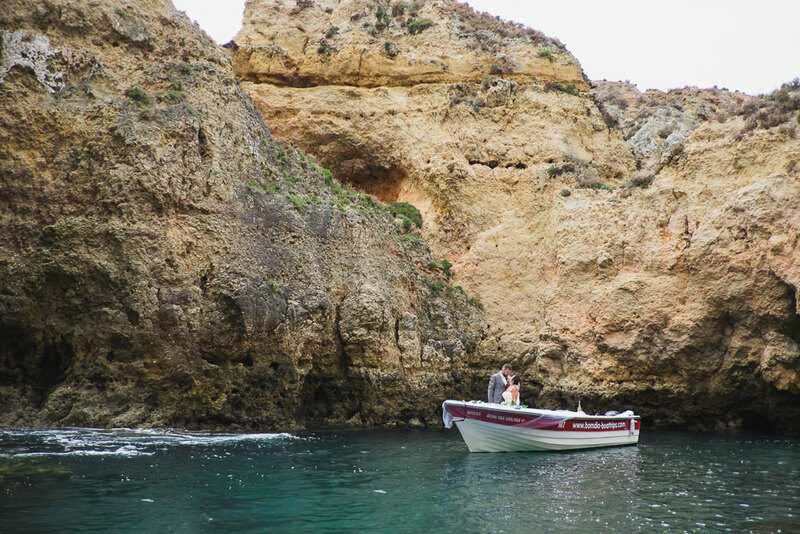 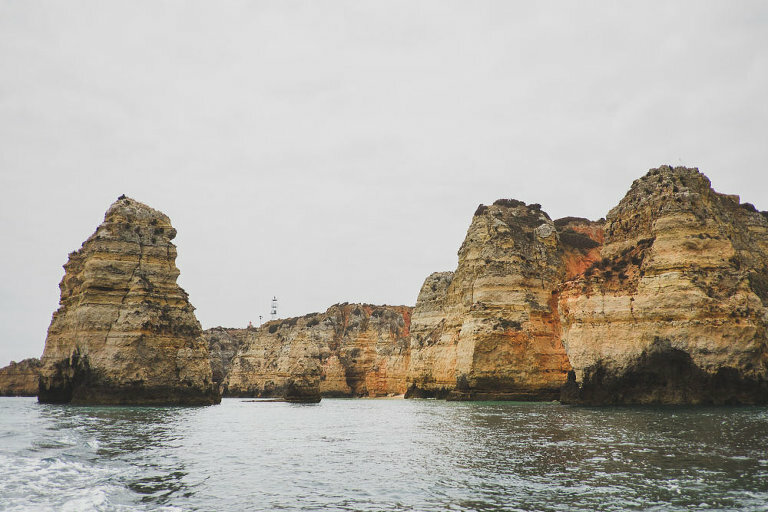 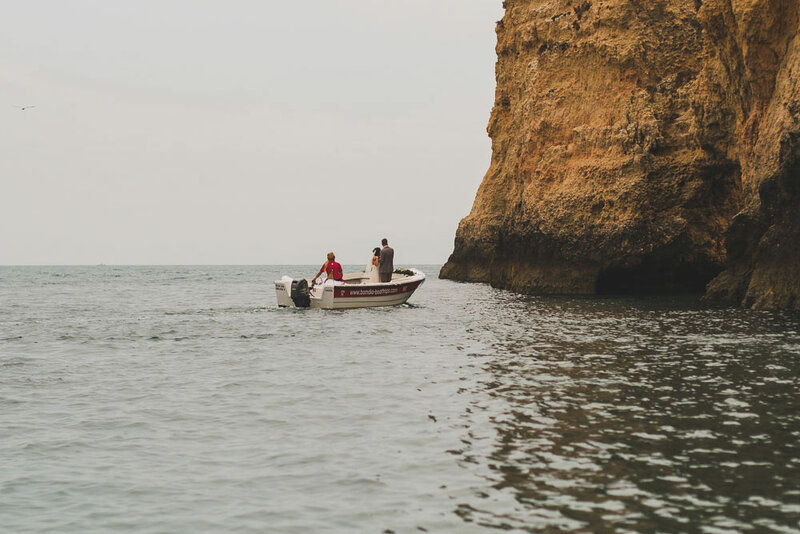 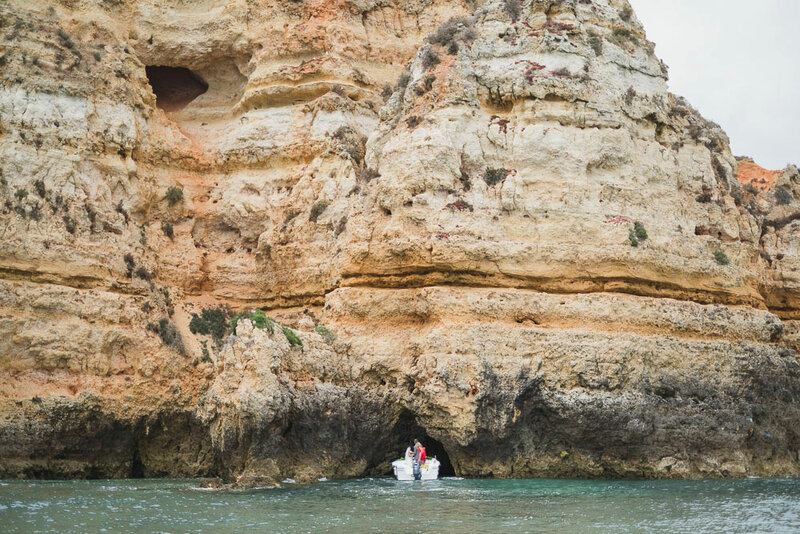 After a small navigation along the coast from Lagos, we arrived to the famous caves of Ponta da Piedade. 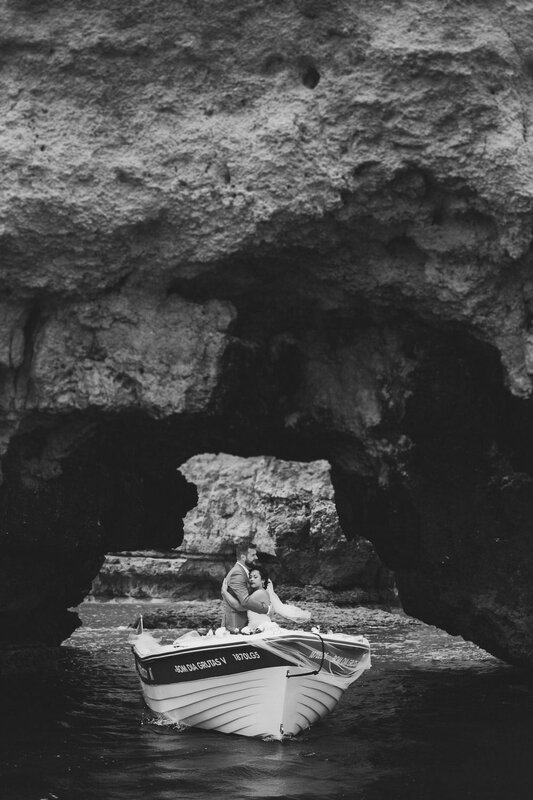 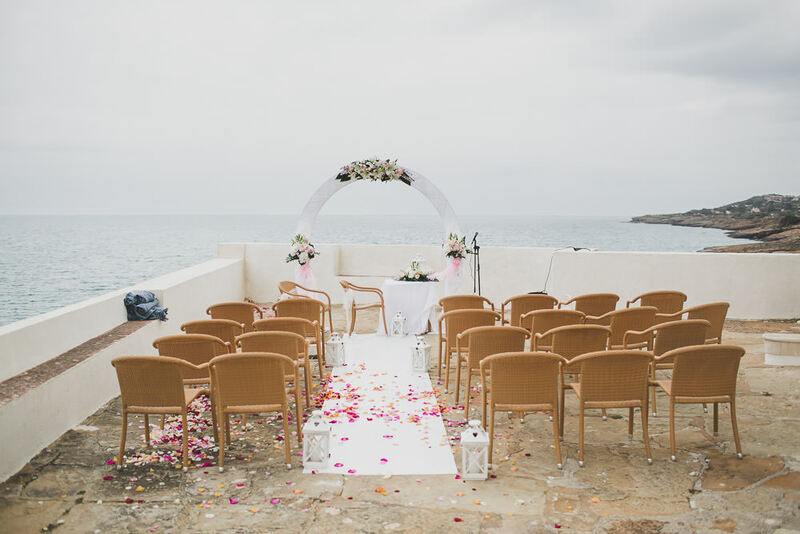 An emotional and incredible moment in which the couple, in one of the small inlets, exchanged intimate vows that only they could hear under the rumor of the waves. 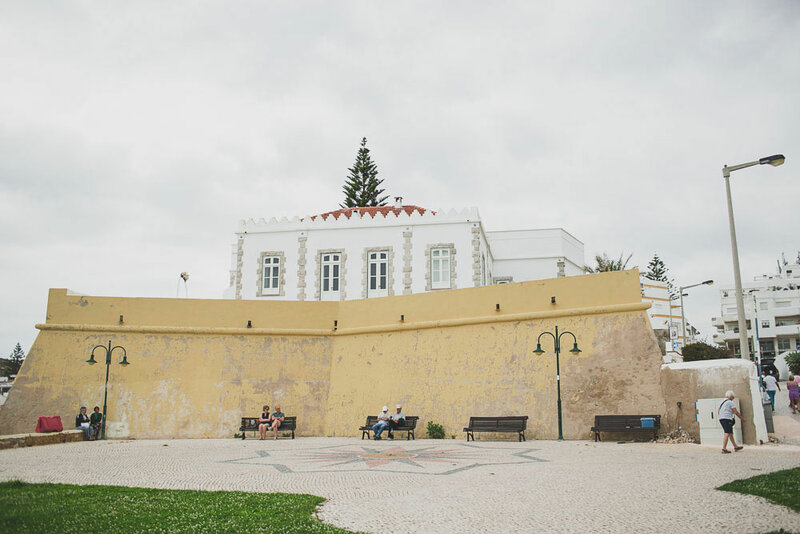 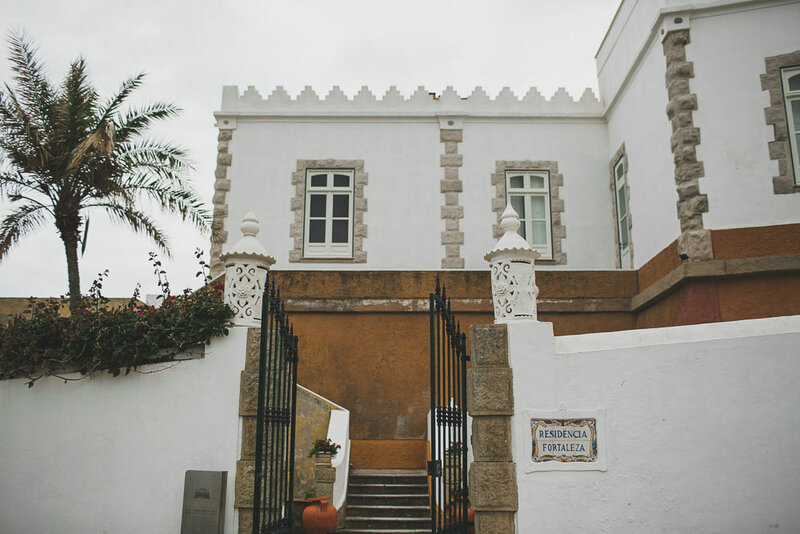 The wedding ceremony and celebrations were at Fortaleza da Luz, a XVII fortress nestled on the cliffs with some of the most amazing view over the portuguese coast of Lagos. 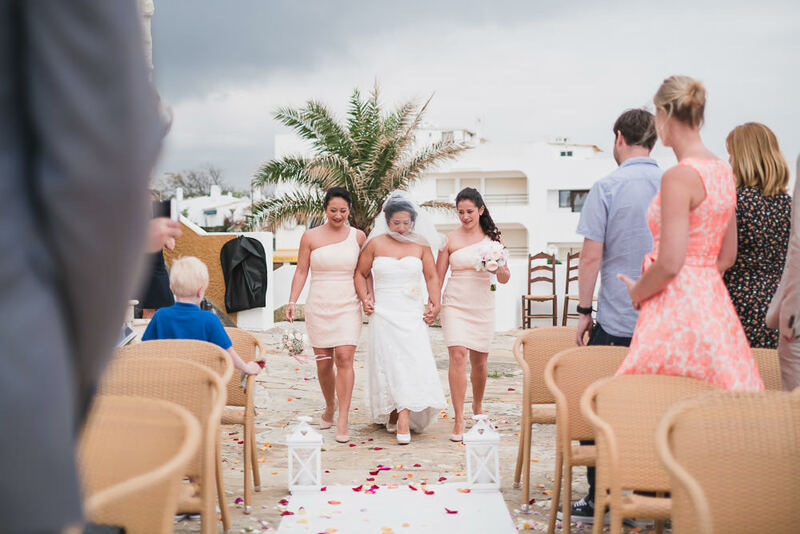 The bride down to the aisle with her sisters, during a small and intense walk full of love and emotions, a beautiful hard moment. 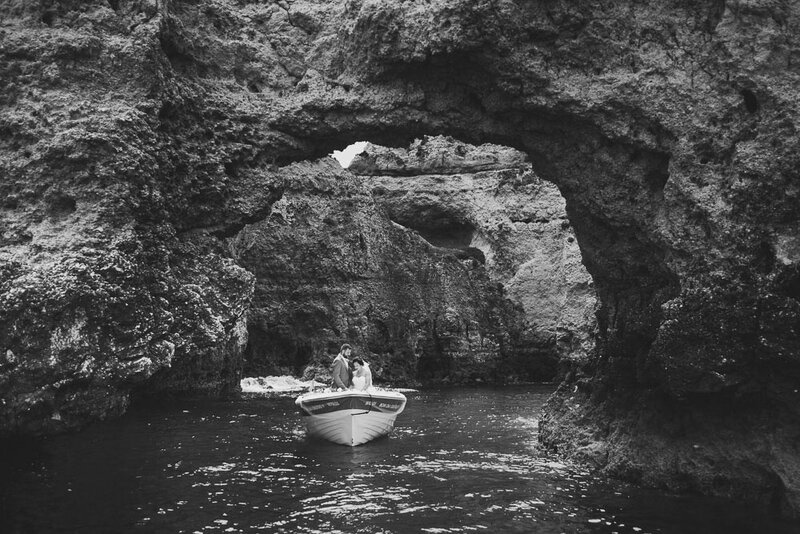 I felt so blessed to share this beautiful day with them, thank you very much!